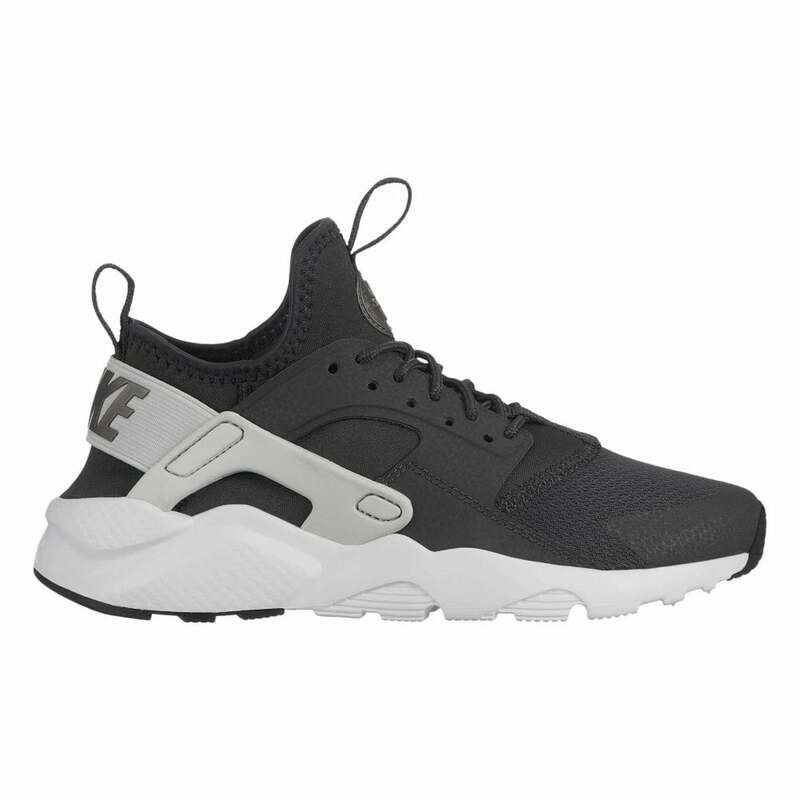 These lace-up Nike Air Huarache Run Ultra Trainers have a synthetic and textile upper and are anthracite grey in colour wit a water pattern. They have a textile lining with a sock-like fit and a padded foam footbed for unbeatable comfort. The heel has an elasticated support. The sole has Nike Air cushioning and a deep tread for excellent grip on any surface. Nike branding appears on the heel, tongue and sole.